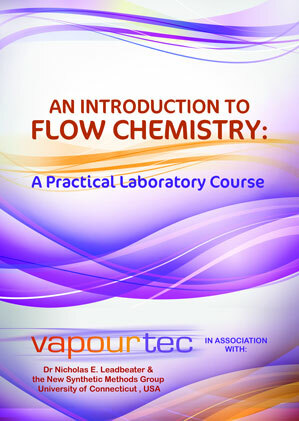 What is your flow chemistry system really doing? Flow chemistry potentially offers the chemist a level of reproducibility that is hard to match with manual batch chemistry and which results in very reliable scale-up. Both reagent proportions and reactor residence time can only be accurately known in a flow chemistry situation if all reagent flow rates are known. Some chemists’ early flow chemistry experiences with unsophisticated equipment may well have been unsuccessful for exactly this reason. 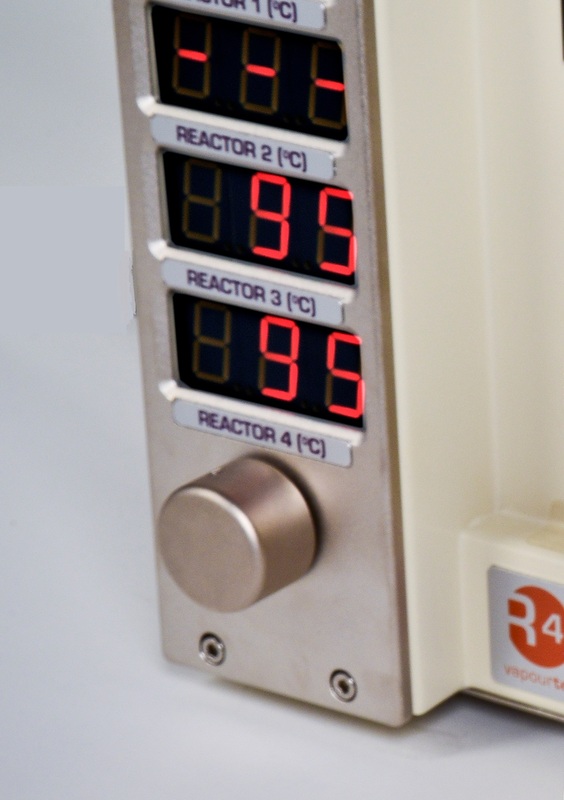 The pumps most widely used in flow chemistry equipment use the same technology as those used in HPLC systems. This is because they can deliver high pressure, they are reliable, and can accurately operate over a wide range of flow rates, delivering a smooth pulse free output. However, there are circumstances that can affect this accuracy which, if not detected, will result in actual flow rates that do not match those requested. But this alone will never guarantee that the problem is eliminated. Sometimes a pump exhibiting one of these issues may stop dispensing altogether. At high flow rates, this is relatively easy to detect and even unsophisticated equipment should be able to spot this. But just as serious and far less easy to spot are the cases where flow from the pump is present but not correct, or where the problem occurs at lower flow rates. Clearly, without some means of spotting this, the results from a flow chemistry system could never be trusted. The first of these is extremely important. Some less sophisticated monitoring systems might be able to tell if the pump is not pumping at all, or may be able to detect incorrect behaviour at high flow rates (1ml /min and above). 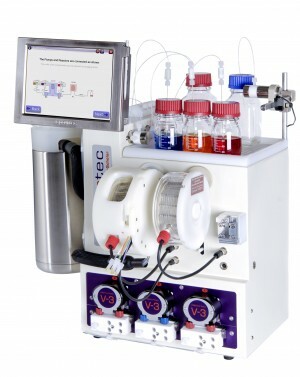 But the Vapourtec system will reliably detect all incorrect pump behaviour at the very lowest flow rates (down to less than 50 microlitres/min). The second of these is also pretty crucial. If a monitoring system warns that “one of the pumps is not functioning correctly” but not which one, that is quite inconvenient. The user then has to re-prime every pump (which wastes time and reagents) to be sure the problem is rectified. The Vapourtec system can now be expanded to 4 separate pumped channels and every one of these channels is separately monitored. To chemists who are used to seeing a reaction in a flask, flow chemistry can at first seem a bit like a “black box”. What goes on inside has to be taken on trust. Without proper flow feedback, that trust would be misplaced. 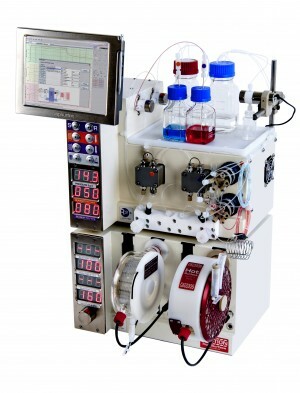 There is still a perception among some chemists that a flow chemistry system can easily be assembled with separate pumps and reactors. What has become clear in recent years is that without some form of pump performance feedback, the true flow rate in a reaction can never be known for certain at all times. No chemist can afford to find that work has been wasted. A lot of R&D effort has been focused on addressing these issues so that you can just get on with the chemistry. With the Vapourtec R Series, the flow is what it should be, or else the system announces otherwise. It’s just one more thing a busy chemist won’t need to worry about.